The drumbeat of American accusations against Chinese internet device manufacturers was unrelenting. In 2012, for example, a report from the House Intelligence Committee, headed by Mike Rogers, claimed that Huawei and ZTE, the top two Chinese telecommunications equipment companies, “may be violating United Stateslaws” and have “not followed United States legal obligations or international standards of business behaviour”. The committee recommended that “the United States should view with suspicion the continued penetration of the US telecommunications market by Chinese telecommunications companies”. But while American companies were being warned away from supposedly untrustworthy Chinese routers, foreign organisations would have been well advised to beware of American-made ones. A June 2010 report from the head of the NSA’s Access and Target Development department is shockingly explicit. The NSA routinely receives – or intercepts – routers, servers, and other computer network devices being exported from the US before they are delivered to the international customers. The agency then implants backdoor surveillance tools, repackages the devices with a factory seal, and sends them on. The NSA thus gains access to entire networks and all their users. The document gleefully observes that some “SIGINT tradecraft … is very hands-on (literally!)”. It is quite possible that Chinese firms are implanting surveillance mechanisms in their network devices. But the US is certainly doing the same. Warning the world about Chinese surveillance could have been one of the motives behind the US government’s claims that Chinese devices cannot be trusted. But an equally important motive seems to have been preventing Chinese devices from supplanting American-made ones, which would have limited the NSA’s own reach. 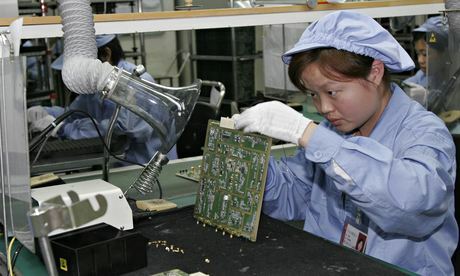 In other words, Chinese routers and servers represent not only economic competition but also surveillance competition… Read more from The Guardian.